the sudden transition from worst-of-Summer to deep-Autumn temperatures has taken a mighty toll on my being. i have been utterly and completely unmotivated to do anything this past week (other than refill my hot water bottle and climb back under the down blanket). in all fairness, it should be noted that i generally despise Summer... and this one was a very odd Summer indeed. Spring (which is more like late-Winter in these parts) lingered well into (what should have been) the Summer months. i wore my favorite winter boots right through late June, before digging up a pair of sandals from the back of the closet. even then, it was advisable to keep a light sweater handy as evening walks tended to be a bit chilly. then August hit and it went from winter-blanket to too-hot-to-sleep overnight. but that didn't last for long, as we did the whole winter-blanket to too-hot oscillation several times over during the next 4 or 5 weeks. then my mom came to town for the long (and insanely hot) Labor day weekend, and she left mid-week, taking the last of Summer in tow. since then, it's gone from refreshing to somewhat-chilly to (downright) cold. i am having nightmares at the prospect of heating this (suddenly too large) space during the long winter months, and my strict, year-round dress code of tank-tops has been abandoned for warm sweats and thick socks. so you find me, perched on my favorite couch, long-panted legs tucked under a small blanket and sock-encased feet propped against the hot water bottle. anything to delay the inevitable turning on of the heat. of course, this is my favorite time of year. the air is crisp most days. there is the occasional fragrance of a wood-burning fireplace drifting on the breeze. and, most importantly, there is wool!!! 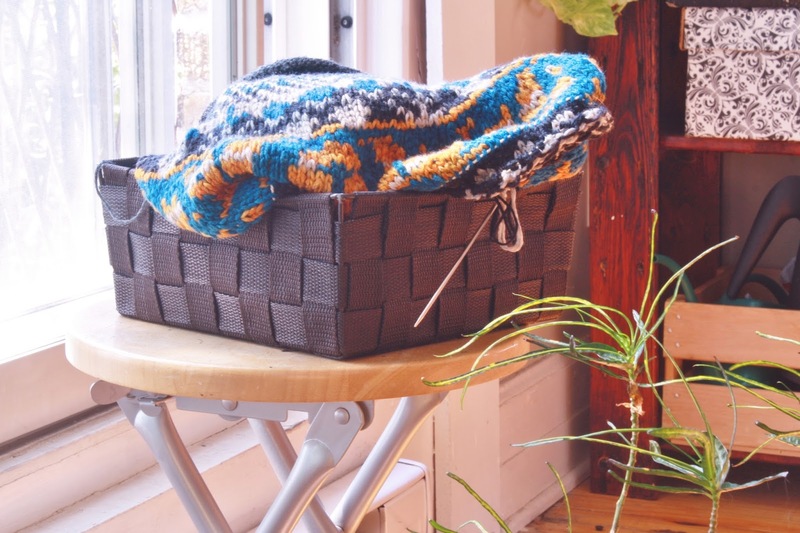 i have literally been daydreaming about all the woolly things i want to procrastinate over make in the coming months. 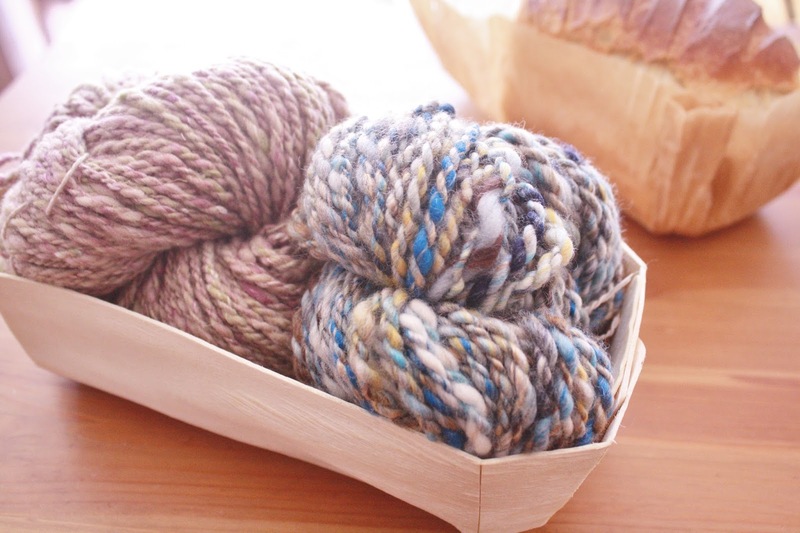 i cannot wait to get my hands on these two new yarns (the creation of which will probably be the subject of my next post... once i talk myself into sorting through all the photos i took along the way). but, first, i need to finish this project that's been in hibernation for the past two months. there's no rush. Autumn's here and i am in my happy place.